Dimitris Papageorgiou, 26 years old is a journalist from Greece, based in Athens. He studied Media and Communications at National and Kapodistrian University of Athens and MA Political Communication at City University of London. 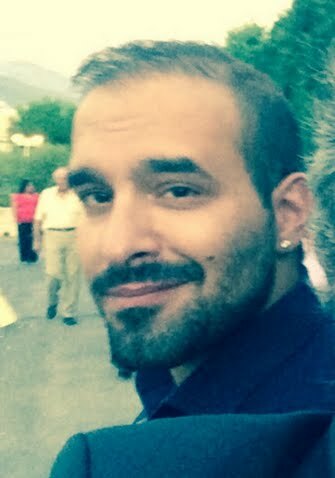 Dimitris has been a journalist since 2010. He has been the assistant news and politics editor for the successful news websites, THETOC.GR and IEFIMERIDA.GR, while he has also worked in a job placement scheme for the BBC News Radio 4, at the World at One show, and as an intern Press Officer at the Greek Embassy at London. While he lived in London during the period of 2014 -2015, Dimitris was also the UK Correspondent for the "THETOC" and covered the Scottish Referendum, and interviewed Daniel Cohn Bendit, regarding the Greek referendum. Dimitris has also worked for one of the most renowned TV shows in Greece, particularly, "THE NEW FOLDERS" at SKAI TV. Dimitris has written articles and interviewed politicians as a freelancer for some of the most successful Greek media, including the Greek Huffington Post (interviewed the co-president of the European Green Party, Monica Frassoni), the newspaper ETHNOS (interviewed the head of the ALDE party, Guy Verhofstadt) and TVXS.GR (interviewed Martin Schulz and did a documentary reportage about the refugee crisis, at Calais, France. Finally, Dimitris was also the News Director and the Head of the Political Reportage, for the website "THECALLER.GR", where as part of his duties he interviewed the head of the Socialists and Democrats of the European Parliament, Gianni Pittella.